1. A Golden Chance At Success Seized On The Grandest Stage Of Them All! The biggest night of our year. The most coveted prize in our industry. A battle for gold. A war was waged between two bitter rivals in Matt Sydal and AJ Styles. Both men tore the roof of the place. The most shocking part of it all though? Someone‘s golden opportunity has been seized and the era of Truth begins tonight. He‘s proclaimed to have the golden truth and that he would make a statement at Final Stand and make a statement he did. The question left on everyone‘s minds is what‘s for our new World Heavyweight Champion. The only thing that can be said is a dose of Truth will be spoken tonight. Tune in to find out what he has to say! 2. Sister Aprils Dominance Continues. Or.. Does It? If there’s one thing to say about the Women of the XWL Universe it’s that their division has been on fire as of late. Each women trying their best to outdo one another. While one woman sits atop. Proving each week that the destruction she promises will always come to fruition. Final Stand was no different. Yet again Sister April has remained queen of the Women’s Division. Leaving a sour taste in a few of the women’s mouths. Natalya especially has been somewhat of a thorn in her side. The one question remains, as things built to a big explosion at the show of shows, are things over between these two or are tensions as high as ever? Tune in to find out! 3. 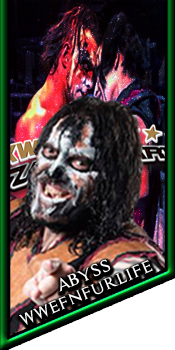 The Beast Incarnate Conquers The Straight-Edge Superstar! Often referred two as two of the most dominant men that have ever stepped into this ring. A war upon wars was waged as tensions rised for weeks. Former protégé of Paul Heyman, CM Punk vowed he’s had Brock Lesnar’s number and knew what it took to slay the beast. All the while Paul Heyman laid claim that nobody can topple his beast and that Punk is a shell of the man he used to be. These two men stepped into the ring and in what was a shocking turn of events, and possibly THE quickest championship win in quite some time The Conquerer stepped out the victor. Needless to say Punk can’t be too happy but, in a surprising turn, Lesnar appears to be less than thrilled with capturing the coveted title by tossing it to the ground. As we tune in tonight many fans wonder just what’s Lesnar’s goal as the new champion. 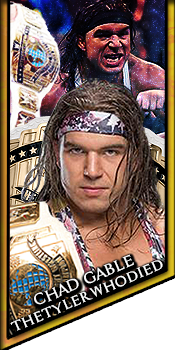 Is he ELITE among the elite and will he defend that championship with honor. 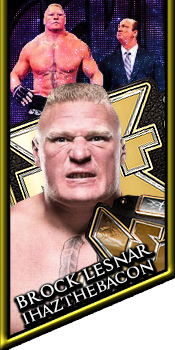 Or will Lesnar’s path of destruction continue as he has his eye’s on a bigger prize? Many questions left ahead. Stay tuned as we look for the answers! 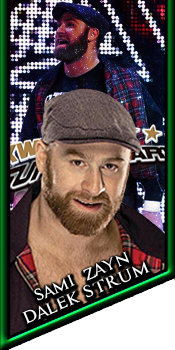 Needless to say things for Sami Zayn leading up to Final Stand were.. Less than pleasant for the aspiring champion. Facing off against not only an undefeated man, but, perhaps one of the most crazed men we’ve ever seen step foot into an XWL ring as the match came to a close the whole universe was shocked to see that despite insurmountable odds stacked against him Sami Zayn persevered and managed to tranquilize the hunter that had been stalking him for months. After putting away his most vicious foe the question remains what’s next for the newly crowned champion and is Kruger gone for good? As the dust settled Zayn’s confidence has surely risen. So join us in finding out his next journey tonight! Final Stand was full of twist and turns but nothing seemed to be more bizarre than a Broken Brother’s brilliance trying to get his brother to see the error of his ways. Matt Hardy has been classed as a unique man as of late. Teleporting to various locations in his quest to obtain any and all championships in his self-proclaimed Expedition For Gold.. But perhaps the biggest shot at gold.. Came when his broken brilliance proved to not be as broken as he lets on. As Broken Matt managed to survive the chaotic Final Standoff and do what he promised. Delete all his competition. With vanguard by his side the question remains. Who will be DELETED. Space.. Time.. Can’t seem to hold him. What’s next for the broken one? Whatever it will be I’m sure it will be.. WONDERFUL! Bayley celebrates in the ring as the crowd cheers for her in her returning victory. What a comeback match we just saw between Bayley and Paige. Even after the horrible incident that happens weeks ago, Bayley looks like she isn't suffering from any ring rust. Bayley exits the ring and hugs a fan in the front row and then continues to celebrate while making her way up the ramp. With that win she furthers her streak to 3 and 0 as she hasn't lossed since coming back to XWL. Yeah we'll see how long that lasts. XWL Anarchy cuts to a commercial. That's it! 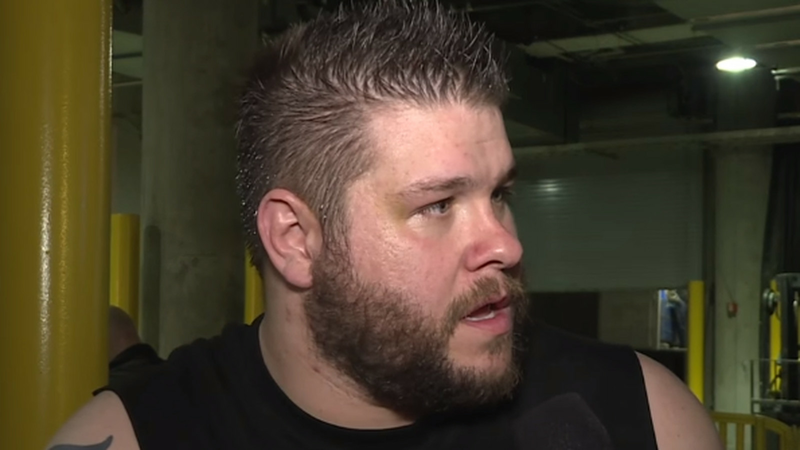 The End of Days for Owens is here! 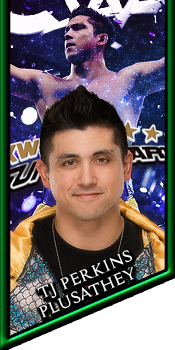 Kick out Owens! Kick out! Jericho comes flying out the back and to the ring. He leaps into the apron, catching Barons attention. Baron let's go and rushes at Jericho, forearming him off the apron. The ref looks over the ropes yelling for Jericho to leave. Meanwhile Owens crawls towards Baron and launches a low blow followed by a roll up! The crowd boos as the ref takes notice! See, that's what I'm talking about! 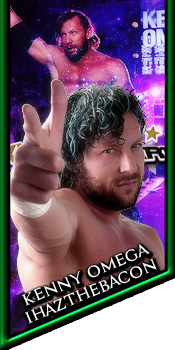 You may not like Omega, but after this, you sure as hell should respect him. 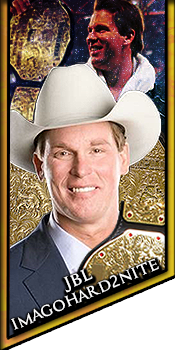 JBL rolls off of Perkins who just lays there flat on his back lifeless. Virgil rolls into the to had assists JBL to help him stand, although JBL doesn't need the help. JBL just smiles as he looks down at Perkins, before he looks at Virgil and nods. Virgil then nods back before rolling out of the ring and beginning to search under it. what the hell is he doing Corey? virgil stands up and and slides into the ring holding duck tape and a cane pole. Why the hell did he grab those! Perkins hasn't done anything to either of them. Virgil hands the kendo stick to JBL before grabbing Perkins and dragging him to to the corner. Virgil then slides out of the ring and begins to duck tape Perkins arms behind the steel post. 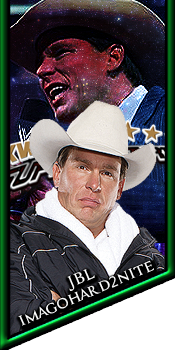 Virgil slides into the ring and stands behind JBL. The crowd is booing yelling at JBL telling him "don't do it" but JBL just ignores them. JBL smiles with a grin from ear to ear. Then suddenly JBL rears back and swings the kendo sticks hitting Perkins in the ribs. Perkins screams out in pain and the crowd goes silent. JBL continues to swing hitting Perkins until finally JBL stops. JBL breathing heavy and Perkins not moving JBL uses the end of the kendo stick to pick up Perkins head for wing Perkins to look eye to eye with him. JBL moves the kendo stick and it seems JBL is done as he turns around but out of nowhere JBL turns back around swing the lane pole snapping it in half over Perkins head causing blood to pour down his head. Oh my god Mauro, someone needs to do something. Virgil motions for a tech guy to bring a mic to him. Virgil then walks over and hands the mic to JBL. Earlier tonight I declared myself the number one contender for the intercontinental championship. But then as you all saw, ms. Anarchy GM Layla had other plans. Now I have to prove that I am worthy to be number one contender by beating Barett. Well Barett I hope you were paying attention because this was nothing compared to what I will do to you next week because I garuntee that you won't be walking out the number one contender next week. Hell I'll do one more. I'll put my whole damn career on the line. What the hell Corey? Did JBL really just say what I think he did? I heard it to Mauro, JBL just said he put his career on the line. And Sami I hope your ready son because business is about to pick up. Unfortunately I lost the right up I made for this match and I don't have time to do another one so this is all I can produce because of my busy schedule tonight. Owens! Kevin! Can I get a justification of your actions just now? Well what about you blatantly cheating with a low blow on Corbin? The camera cuts to Bad News Barrett in the locker room watching a television as JBL finishes savagely beating the downed TJ Perkins. Barrett chuckles as he watches the drama unfold. At this point, Renee Young approaches. Excuse me, Wade? Can I have a minute to ask a few questions? Of course, I'm an open book. Tonight we saw you challenge Sami Zayn and declare yourself the number one contender for his title, only for JBL to come out and do the same. Now you have to fight him next week. How do you feel about that? Well, Renee, the so-called "wrestling god" doesn't know what he just got himself into. Everyone saw what happened earlier tonight. 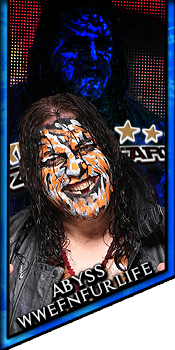 I slayed the dead man and put him to rest, yet JBL calls me a one shot wonder?! All it takes is one shot, one Bull Hammer and the "wrestling god" will be kissing the feet of mortals. You don't think that the sudden appearance of Finn Balor had anything to do with your victory over the Undertaker? That was inconsequential. Undertaker couldn't keep me down, and it's not my fault his dementia riddled head can't focus on what's happening in the ring. He fell just like JBL will. Tell me, what is your reaction to the message JBL just sent you? It's laughable. Perkins is a lightweight and JBL still had to resort to cheap shots and weapons to do any real damage. He's trying to play mind games but they aren't working. He knows he can't beat me fair and square and these little performances prove it. I don't need to stoop to that level. Next week on Anarchy I'm going to meet him in the middle of the ring and prove to him and everyone else that the number one contender will be coming for that belt. And JBL, I'm afraid I've got some bad news. It won't be you. Barrett turns and walks away, leaving Renee standing alone in the locker room.  The atmosphere of the arena changes as the theme hits, sending the arena into a desolate dark aura. Fireflies begin to pop up around the arena, swaying with the melody of the music and even clapping with the beat. 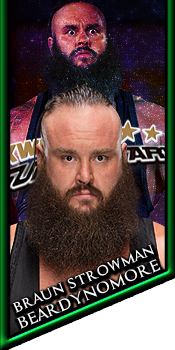 On the stage, the lantern appears, illuminating the face of Bray Wyatt and the figure of Luke Harper behind him. Bray smirks, guiding his monster down the ramp as the fans erupt for him in a mixed reaction. Can you feel the change of atmosphere Bray Wyatt brings when he enters the room? 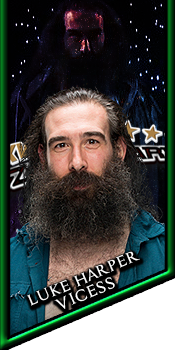 I can feel the chills on my spine but Luke Harper is about to feel the Big Bad Booty Daddy kicking him all around that ring in just a bit. If, Bray has nothing to do with it. Wyatt leads the way down the ramp, then to the stairs. He stops, taking a moment to look around the arena before climbing the stairs. He is followed by Luke who stands on the top of them while Bray crosses the apron. Wyatt hands off the lantern to Luke, then enters the ring. Bray takes back what is his without even looking, carrying it to the middle of the ring, and stopping. Luke appears by his side, eyes straight forward while Bray, Bray's eyes wander. Wyatt hands off the lantern once more before finding himself a mic, pacing the ring. Luke stands tall, illuminating the ring with the lantern while Bray talks. "People think, they got me figured out, man." Wyatt's eyes linger on the crowd a moment before he takes back up his pacing. People, always got everything figured out man. They know who their next leader will be, until it doesn't happen. They know who is going to win the big game, until it doesn't happen. They know, they are the absolute best, until it isn't, true. This, this is no different man. All these little people got that bigger picture figured out. They say I want destruction. They say, I want chaos. They say I want Anarchy! They say I'm a dark messiah trying to steal the mind of those that are foolish enough to listen. They say, an awful lot, them people. Little do they know they are all, wrong. Each and every one of them have a preconcieved idea of what I am all about and ain't none of them came to ask me. Ain't no one, chalked up a one on one sit down with me. Layla doesn't invite me to her big bad corporate office. Vincent doesn't ask me my opinion on my status in this world of his. No! No one cares about me man and no one cares about you. That's the cruel fact of the world that you have to come to face and accept and once you do, the world opens up a little bit more to you. Wyatt chuckles, stopping and looking to the camera in front of him while brushing a strand of hair away from his eyes. You know what I want? I want to be free. 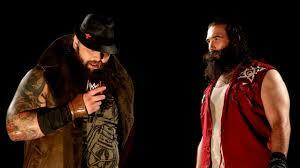 Wyatt then throws out a hand, pointing to the crowd as his emotions change from smirking to serious. Each and every day of my life I want to live, my way! Not the way of my father. Not the way of the people in charge. I want to be FREE! And I am willing to go to the means, to fit my choice of end, man. Wyatt staggers back, eyes looking lost and sad. You know who else wanted to be free? A young man, with nothing but a dream. But they told him he'd never be enough. That he couldn't amount to his dreams and his glass ceiling barely ever rose higher than the ground. He was too strange. Too different to be a part of the bigger picture. He, didn't, fit, in. 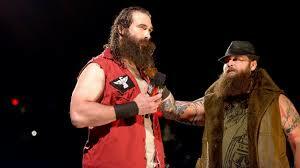 Bray Wyatt wanders next to Luke, placing a hand on his shoulder, smiling. But now look at you my friend. You stand before the world, doing what you thought was never possible. You are no longer afraid. You, are free. You stand as your own man, guided by my hand. The most I am is the Gabriel to your higher power. The Merlin to your King Arthur. I am the Octavious, to your Rome. No, you are far greater than that. You are not a washed up shell of potential that I falsely read and defeated at Final Stand. You are not that failure. No...... I am the Columbus, to your New World. Harper's eyes turn to Bray, reading into his message. I stumbled upon you when no when else dared to care about you. I saw your short comings and I denied them the ability to pierce through the veil of greatness you have become. I opened your horizon up to all sorts of new possibilities. Unlike Columbus I will and have convinced people of your potential and of the gold and riches that come with you. I refused to let you give up when it was the easy option, just as she denied me the ability to give up, oh so long ago. You see, I saved you, from yourself, Luke. You know that. These people, they can see that. They can see that tonight as you go face to face with a man, too intrigued with his own appearance rather than what matters in this world, the will within. Tonight, you go on to represent me, my brother. Do you have any words for those that stand before you? Anything to say, to your competition? To those that cut you down? To those that violated your mind? 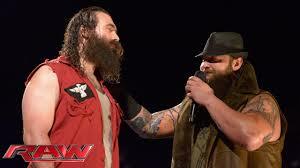 Bray slowly extends the mic to Harper who takes it from his mentor. Luke's eyes fall on the crowd once more, a sinister look crossing his face. The ref begins counting as both men begin standing. Harper rolls in the ring as Craazy Steve comes running out standing behind Steiner laughing erratically and smiling the maniacal smile as before. Steve yells boo in Steiners ear and as Steiner turns around to hit Steve he is hit with the Poison Mist, Steiner falls to the ground yelling as Steve stands and laughs. Steve runs back in the crowd while the ref is distracted by Harper. The ref turns around to see Steiner writhing in pain holding his eyes as he counts to ten. Anarchy returns from a commercial break and as the camera's pan across the arena, not only do we see thousands of excited members of the XWL universe, but we also see Big Cass standing in the ring preparing for a match it seems. 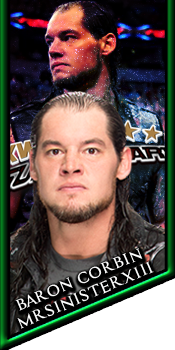 Welcome back to Anarchy ladies and gentleman, coming up next, free agent superstar Big Cass will take on a mystery opponent, and if Cass wins, he gets a contract here in XWL! The stakes are high here tonight for Big Cass Mauro, let's find out who his opponent is right now. The camera shift from the commentators to the stage area where we await Big Cass' mystery opponent. The stage lights up with the colors red and green as SJ logos are positioned around the titantron, the crowd leap off their feet at the sound of the infamous theme known throughout the world. On perfect cue Samoa Joe steps out from behind the curtain and out onto the XWL stage to a massive reaction from the XWL universe. My god ladies and gentleman, the mystery opponent for Big Cass is none other than Samoa Joe!!!! If ya put money on Big Cass winning an XWL contract here tonight, then ya better try and pull your bets now while you still can, because 7 foot tall or not, this stupid idiot from Jersey is about to get destroyed by a man who's made a career based on the destruction of others, Samoa Joe! Thousands of fans in the building begin to chant "Joe Joe Joe" as they are clearly beyond excited to see "The Destroyer" back here in XWL once again. Joe nods his head, seemingly as a way to acknowledge the thousands of fans who are currently chanting his name. Joe begins to walk down the ramp and wastes no time in doing so, it's all business for "The Destroyer" right now. He turns the corner and walks up the steps and out onto the apron, he stares out to the fans and throws up a shaka before entering the ring and throwing up the double shaka's to the crowd. Joe grabs the towel that was around his neck and tosses it out of the ring. The look on Joe's face says it all, he's ready for battle, and if Big Csss hopes to earn an XWL contract right now, then he's got his work cut out for him. The ref sends both men to a corner opposite of the other, he asks both men if they're ready to which both nod in reply, the ref then turns and signals for the bell. MAMA MIA COREY! Samoa Joe just forced the 7 foot tall giant Big Cass to tap out in 27 seconds!!! Big Cass' contract hopes were dashed the moment that Samoa Joe stepped out onto that stage. I mean for god sakes Mauro, the fans in the crowd used to chant "Joe's gonna kill you", if that alone doesn't intimidate you or strike fear into you in some way shape or form, then I don't know what does. Joe walks over to the side of the ring and signals for a mic, a ringside assistant grabs a mic and walks over to Joe to hand it to him through the ropes. Joe takes the mic and walks over to Big Cass who is still trying to recover from nearly being choked to death. That was just a small taste of what is in store for this entire roster. It's quite simple really, if you are someone who laces up a pair of boots and you dare to step through these ropes, then consider yourself a target. Consider yourselves all marked men, and don't presume you're safe outside of this ring either. When you're taking your luggage up to your hotel room, when you're at the bar using your star power to chat up the ladies, WHEREVER the hell you are, you better grow a set of eyes in the back of your heads REAL FAST boys, because Joe's on the hunt, Joe's coming for all of you, and when Joe gets his hands on you, Joe's gonna KILL YOU!!!!!! Joe tosses the mic down and exits the ring. Joe's only been back in XWL for about 5 minutes and he's already threatened the entire roster! If I were an active XWL superstar, I'd be hiring some armed bodyguards right about now, this man is no joke, I've seen his work throughout world over the years, and when he makes a statement like that, he's not just talking the talk, he's gonna walk the walk, and I'm not sure anyone around here is gonna be able to stop this Samoan Submission Machine from destroying the whole roster. Joe reaches the top of the stage and proceeds to turn his head slightly over his shoulder just so the camera's can pick up one more horrifyingly menacing look from this monster before he steps through the curtain and heads backstage. Anarchy cuts to a commercial break. The fans are enjoying this high action contest, and things have spilled to the outside, front and center in front of the former World Heavyweight Champion Matt Sydal, still sporting his Brock Lesnar cap courtesy of Paul Heyman. He's clearly as into this as everyone else, and why wouldn't he be? There's the man that's held a grudge against him for ending his United States Title Reign EIGHT years ago...and The Beast that he's got unfinished business with, a beast he'd LOVE to conquer. The idea of facing either one of them in his rematch for The World Title is exciting, and he's on his feet leaned in, really enthralled by the action taking place in front of him. Brock elbows Truth back, Truth holds his jaw, then lets out a loud scream, the kind of scream you let out when you're about to give your next hit all you've got. He lunges forward with a lot of heat on this next punch, but Brock being no ordinary man is able to side step him, then for added insult to injury...he flings Truth's momentum heavy punch RIGHT AT MATT SYDAL! Down goes Sydal, WHAT A PUNCH! The Golden Ticket gets his "ticket" punched, and he drops to the feet of his fellow audience members, all while Truth stands there for a moment frozen. Some fans clearly are upset, others realize it was an accident, but several fans have kneeled down to check on Matt, Truth tries to shake off the detour his punch took, but before he can Brock's thrust his back forward into the barricade causing him to wince in pain. Hearing the referee's count get louder, Brock yanks Truth by his golden locks, and rolls him into the ring. The Elite Champion turns around seeing Matt lying and lets a slight grin come across his monstrous face, and then enters the ring seeing the end in sight. The Beast is about to FEAST! Oh this doesn't look good at all..
Brock stalks Truth, waiting for him to get up, and the moment he does, he lifts him onto his shoulders, but Truth fights back, elbowing the top of his head, struggling until he slips off his shoulders! Truth quickly thinking grabs Brock pulling him down into a quick roll up! But Brock easily powers out, only to be met by a swift kick to the gut, Truth looks to the ropes, runs off of them coming back around for The corkscrew axe kick, however Brock was ready, dodges it, wraps his arms around The Champion's waist...attempts to take him to "Suplex City" but R-Truth delivers two stiff back elbows, breaking free of his grasp, grabs a hold of him tossing his arm over his shoulder, uses all of his energy he's got left to LIFT Brock up for a suplex...then flips him over with The Beast's jaw bouncing off of his shoulder with a suplex stunner! Still The Conqueror remains on his feet, he's dazed, but he's primed to be beaten. Truth backs up, runs to the ropes bouncing off them for momentum...starts to spin for the Lie Detector....AND IS CAUGHT IN MID-AIR, AND HOISTED ONTO THE SHOULDERS OF BROCK FOR THE F-5! If you have to ask, you already know the answer, OF COURSE, IT IS! Helpless to escape, Truth's swung out...AND BOTH MEN CRASH TO THE CANVAS FROM THE SMACK OF A GOLDEN STEEL CHAIR, COURTESY OF MATT SYDAL! What the hell is his problem?! If I had to guess, I'd wager it had something to do with minding his own business, and then being dropped in an instant! The hard sting that comes from The Golden Chair managed to hit both Truth, and Brock with such force it dropped them immediately, Truth lies on the mat, Brock lies on top of him, the referee's livid, calling for the bell immediately, ruling it a no contest, but Matt's not done. He holds the chair in his hands, the fans mixed with how they feel, it's exciting yes, and if it weren't at the expense of Truth, someone they've really grown to admire much like Sydal, they'd be completely fine with it...but it's clear Matt Sydal doesn't know what caused the hit, just that the both of the men at his feet are the only ones to blame and so he's lashing back out at them. Matt lifts the chair then slams it down onto Brock's body, then looks at R-Truth and does the same to him, much to the dismay of half the crowd. Unbelievable, he couldn't just sit in his seat and watch the show, he had to go and spoil our HUGE Main-Event! I'm not thrilled with his actions, but that's exactly what he was doing until he was thrown into the crossfire. A man like Matt Sydal doesn't just stay down when he's hit, he hits harder. With annoyance fully on his face, Matt stares down at both men, then tosses the chair down to the mat, and stacks Brock on top of Truth. He slowly steps over to the ropes, jumping over them, and starts to climb the turnbuckle, reaching the top quite quickly, staring at both The World Heavyweight Champion R-Truth and The Elite Champion Brock Lesnar. Without any hesitation, he leaps off, CONNECTING WITH THE GOLDEN STAR PRESS ONTO BOTH OF THEM! That's sending a message, one we may not agree with, but can't deny it's effectiveness either. All he's done is effectively RUIN an incredible match for The World Heavyweight Championship. The air is still mixed, some loud cheers through excitement, and justified retaliation...but others loud boos for the uncalled for assault. Matt holds his ribs for a moment, then rolls out of the ring, collecting The World Title from the timekeeper. His eyes gaze down at it, obviously wishing his name was still on it, then he walks over to the barricade where he once sat behind. He leans over it grabbing the hat Paul Heyman gave her earlier. Then as he slides in, he makes his way over to the pile of bodies he's left in the center of the ring, and kneels down for a moment, placing the cap over Brock's face. Rising back up, he then raises The World Heavyweight Championship in both hands shouting "THIS IS THE TRUTH, AND I WON'T BE DENIED!" the show comes to an END as the boos...and cheers continue to pour in. We're not sure what to make of all of this, but one thing's for certain, you don't get away with hitting Matt Sydal, intentional or not.